We were treated to high class jumps action from four courses on Saturday and in this article Steve Ryder gives you five horses to back for the 2019 Cheltenham Festival on the back of their performances this weekend. Ballyandy ran in the Ascot Supports Berkshire Community Foundation Handicap Hurdle at 1:00 where he finished 3rd beaten just over 4 lengths. Given he was beaten as a 7/2 favourite in this race it could be seen as disappointing but he travelled so well into the race over 2m3f before weakening late on. Ballyandy was headed late on making a drop back in trip look a good option and the 25/1 available NRNB for the County Hurdle looks appealing given that he is a previous Champion Bumper winner in 2016. Magic Saint won for the first time in the UK at Wincanton on Saturday in the Betway Heed Your Hunch Handicap Chase at 1:45 over just shy of 2 miles. He had won four times previously in France before running respectably over further on his first two starts for Paul Nicholls. Magic Saint won this off a mark of 142 by 4 ½ lengths meaning he will be raised to close to 150 by the handicapper but that will mean he will still get a nice weight in the Grand Annual for which Paul Nicholls has confirmed that is his target so the 14/1 looks a good price. 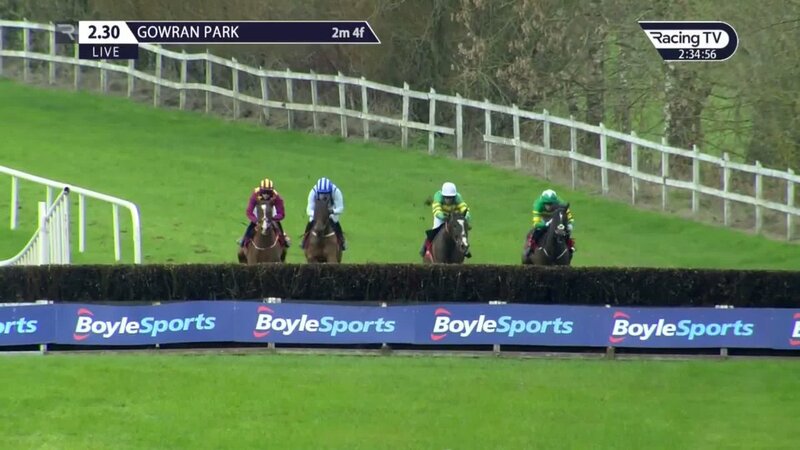 The Red Mills Chase at Gowran Park at 2:30 lost some of its appeal with the defection of Presenting Percy but it was a race that Monalee displayed his credentials to win at Cheltenham. He has always appeared a horse best suited when able to force the pace over 2m4f rather than trying to settle over 3 miles and that was shown here with a comfortable victory by 2 lengths. Henry De Bromhead still hasn’t ruled out the Gold Cup for Monalee but I would be shocked if they did not go for the Ryanair and even at 6/1 NRNB I would still recommend him as a bet with his previous festival form. Blaklion is better known as a chaser than a hurdler but he managed to get himself qualified for the Pertemps Hurdle at Cheltenham on his second attempt this season. He finished 5th in the Pertemps Network Handicap Hurdle (Series Qualifier) at 2:55 at Haydock beaten over ten lengths under slightly tender handling. Blaklion is well handicapped over hurdles given that he was rated 147 on Saturday (will probably be dropped another couple of pounds) and was rated 161 over fences at this time last year. Connections may well skip the Cheltenham Festival to concentrate on the Grand National once again but it is a route that Pineau De Re took in 2014 when he finished 3rd at Cheltenham before winning the Grand Natinoal. At 33/1 NRNB for the Pertemps Handicap Hurdle, Blaklion looks too big not to invest. Road To Rome has now won seven races in a row after winning the Walrus Open Hunters’ Chase at Haydock on Saturday at 4:45 and looks a live contender for the Foxhunters at Cheltenham. He has shown good form this season with victories at Taunton and Ludlow but his most impressive victory was in this race when successful by 34 lengths. Road To Rome is still available at 7/1 NRNB for the Foxhunters at Cheltenham and it seems significant that they got top Amateur rider Sam Waley Cohen to ride him on Saturday in view of him riding at the festival.